You are here: Home / Mindjammer / Mindjammer – The Roleplaying Game PDF-only Version now available! Mindjammer – The Roleplaying Game PDF-only Version now available! 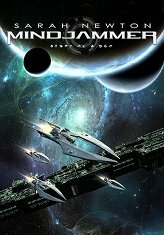 We’re delighted to announce that the PDF-only ebook version of Mindjammer – The Roleplaying Game is now available from our webstore at Modiphius.com, and also at DriveThruRPG and RPGNow. Buy the complete Mindjammer – The Roleplaying Game for viewing on your tablet device or computer, and for personal printout, and download immediately today! We’re of course continuing to provide the print + PDF bundle of Mindjammer – The Roleplaying Game from the Modiphius webstore; the 496-page hardback is en route to our warehouse right now, and is expected to ship to customers next Monday, 14th April. You can order right now – and of course download the PDF version immediately!